Fin Tube Products, Inc. provides coils, "U" bends and serpentine shapes for your custom heat exchanger designs. Fin Tube Products, Inc. can assist your engineering department in both prototype and production runs. Depending on the bend radius finned tubing can be formed directly over a mandrel thereby eliminating the need for bending bares. "U" bends can still be supplied with center bare areas if necessary. 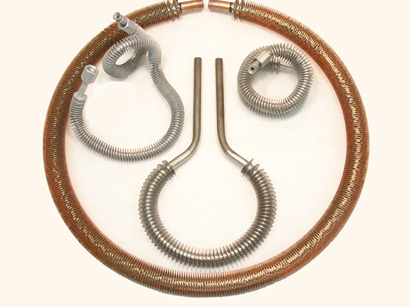 Our FINBRAZE® products can be easily coiled using a tube made of Copper, Carbon, Steel, Stainless Steel and other common metal types.